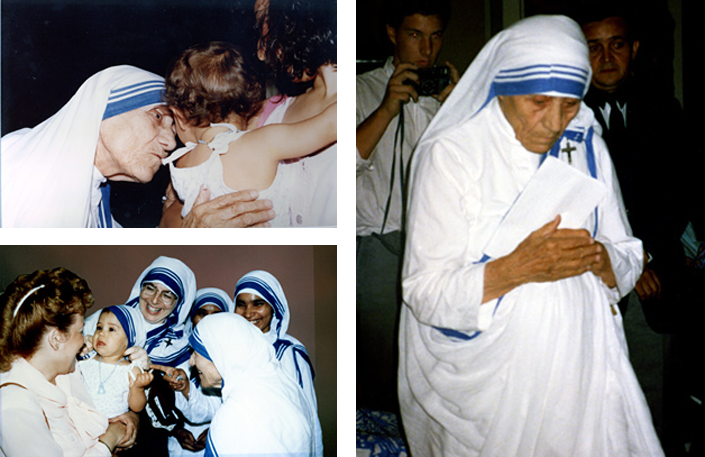 Kathy DiFiore’s friendship with Mother Teresa began in 1985 when the two women worked together to change the law in New Jersey so that Kathy could continue to shelter pregnant teens and their children in her home. 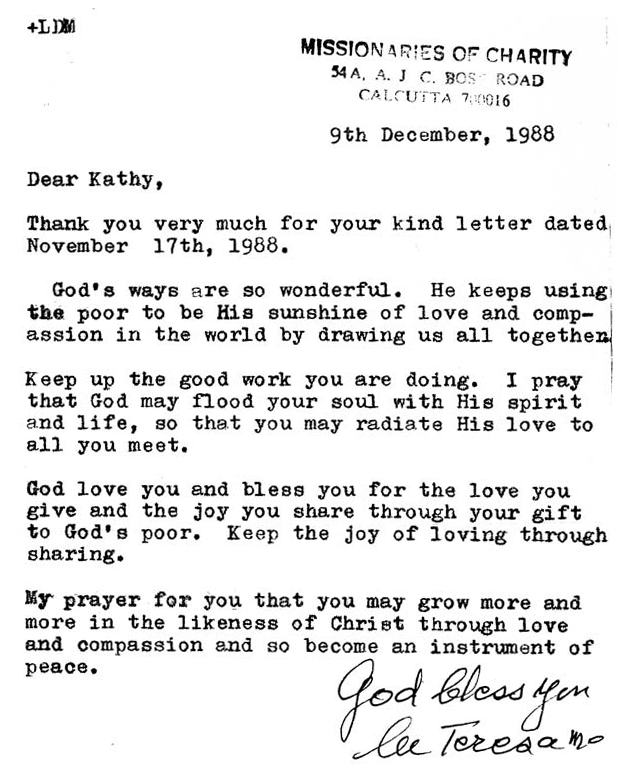 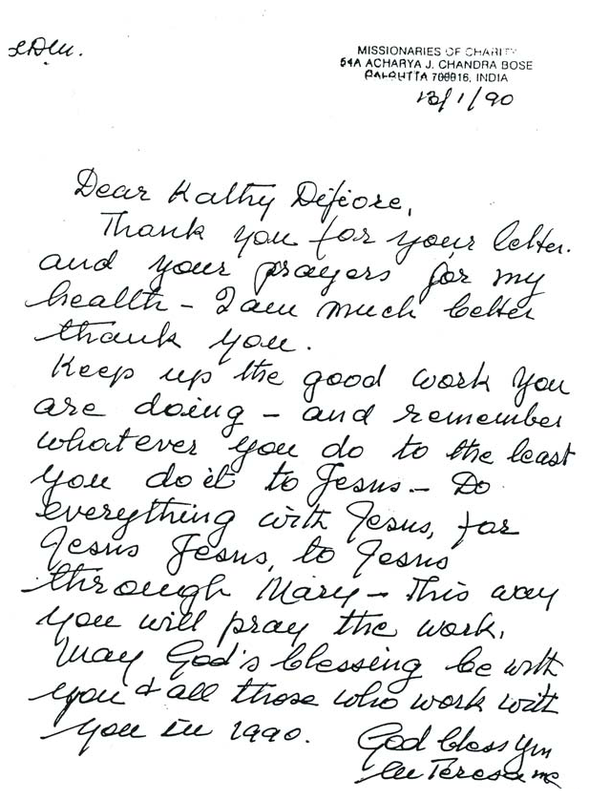 Clicking on any of the letters below from Mother Teresa to Kathy will give you a larger image to view. 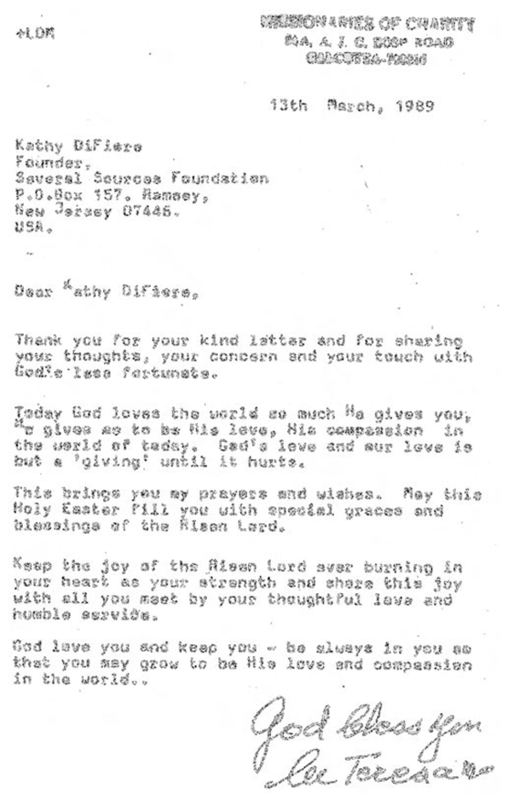 for the smile is the beginning of love"
4 Star Rating FYE 2016 View Endorsement. 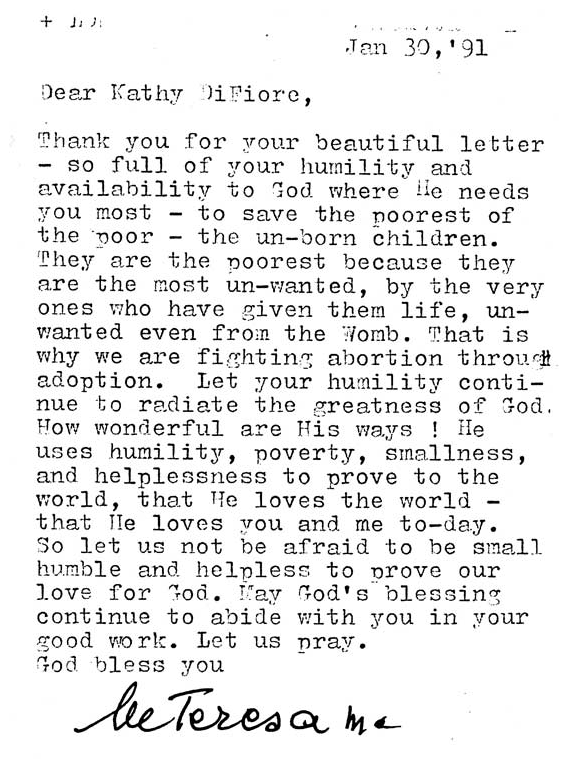 Several Sources is a registered 501-C3 Charity.